Philadelphia PA Antique Rugs and Carpets - Steeped in history and saturated with culture, Philadelphia is one of America's great cities and home to many dedicated Nazmiyal customers. For more than three decades, we've had the privilege of serving clients in Philadelphia and providing vintage rugs and antique oriental carpets that decorate the city's most prestigious homes. From the posh Pennsylvania Main Line area to the neighboring suburbs of Delaware's Brandywine Valley, we are committed to offering local collectors and private antique rug buyers access to a comprehensive selection of hand-knotted carpets at fair prices. Our satisfaction guarantee, customer-friendly policies and attentive antique carpet experts are available to make your rug-shopping experience better and more comfortable. Whether you are outfitting an old-world Gladwyne estate or a luxurious warehouse loft, we have the perfect vintage or antique oriental rug to complement your decor and personal style. Our reputation, years of experience and substantial buying power benefit our dedicated customer base. By acquiring such a large number of high-quality carpets, we are able to negotiate better prices and pass the savings on to you. Plus, as a Nazmiyal shopper, you'll be treated to an ever-changing selection of world-class carpets. Our inventory includes antique Persian rugs, Oriental rugs, antique tapestry rugs, Scandinavian carpets and Moroccan boucherouite rag rugs to name a few. 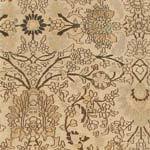 This catalog encompasses all rug styles, eras and regions, and new items are added regularly. At Nazmiyal, all customers are entitled to free standard shipping on any rug sold in the USA. Our all-encompassing free shipping offer is designed for your convenience and to give clients a better online shopping experience. We are happy to ship hallway runners, Persian area rugs and mansion-sized carpets to Philadelphia, the neighborhoods of Rittenhouse Square, Old City, Society Hill and other areas. Last but not least, we offer a 100 percent, world class customer satisfaction guarantee on every item we sell. We believe that shopping online should be a convenient, worry-free experience. That's why we guarantee your total satisfaction and encourage clients to see the item in its intended home before deciding to keep it. As part of our customer-first policies, clients can take advantage of a three-day tryout period. Clients can see the item in the room it was selected for with natural light, real furnishings and personal touches. If you aren't satisfied for any reason within three days, you can arrange to return the item to our New York City showroom, and you will only be responsible for return shipping. We believe in offering customers quality products at a fair value, and we enhance this value by offering free shipping to all customers. Search our online carpet gallery today to see why designers, collectors and homeowners in Villanova and the greater Philadelphia area choose Nazmiyal Collection whenever they need a special antique carpet or design piece.